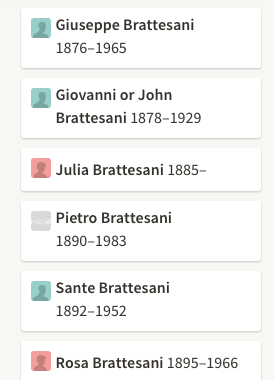 For those of us who live in Scotland the Brattesani surname will always be associated with Fish and Chips. The best Fish Suppers could always be bought from their shops. Shops throughout Scotland, Edinburgh, Anstruther, Dundee, Arbroath, Perth and many more. They are legend. David Brattesani was one of at least five brothers who originated from Borgo Val da Tora in Parma, Italy. It was one of his descendants who married into the Dora Clan and who settled in Dundee in Scotland. As you can read below Peter left home when he was only 13 to come to Scotland. David’s son Sante Brattesani married Rosa Gioagapazzi and it was their daughter Matilda Rose who married into the Dora clan. I can see from various census entries that the Dora family had arrived in Scotland and settled in the Dundee area in the 1890s. from Giulio Dora who still works in the Fish and Chip Shop Industry today. 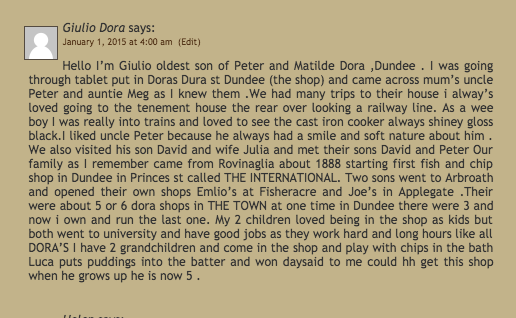 The Dora family were also connected to the Cura Family as well. Giovanni Cura had married Luigia Dora circa c 1870 in Italy. So far as I have researched to date their family were short lived and they must have endured such pain with the passing of their children. They also had a son called Angelo who was born in 1898. Angelo also died very prematurely of complications due to alcoholic poisoning. Brother Emilio Cura was present on his deathbed. Son Paolo died when he was only 15 years of a chest infection. Joe Dora of 1 Applegate Arbroath, and my grandmother was Valentina nee Giacopazzi. They arrived in late 1920’s and set up a fish and chip shop, and uncle Chae, his brother did the same in Fisheracre. My grandmother’s dad,Luigi, died in Arbroath April 1932 aged 73. His wife was Angela Bratesani I know no more details. It would be good to find out more. Just a follow-up. Peter Dora’ later changed to Doran married Marcella And had two girls Marcella and Lucy. Just wanted to say hi to everyone . 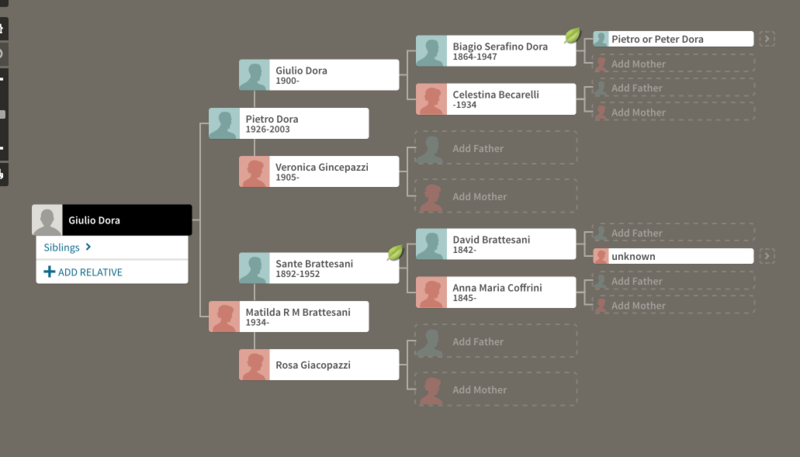 My Great Grandfather Giuseppe Dora’ was the son of Giovanni Dora’ and Maria Brattesani and husband of Lucia DelGrosso from Rovinaglia. 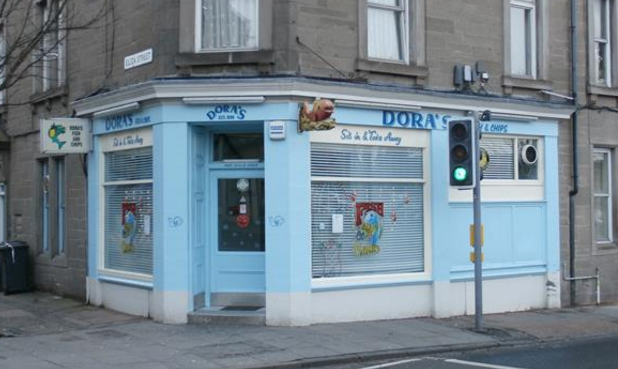 Giuseppe worked in the Fish and Chips Restaurant business n Dundee and later his oldest son Peter Dora’ who changed his name to Doran took over. Peter I believe worked or lived at 2 Middle Street, Dundee. Later on he moved to New York and lived near my Grandparents Giovanni Dora’ and Maria Pelizza.